MOSCOW, March 4. /TASS/. 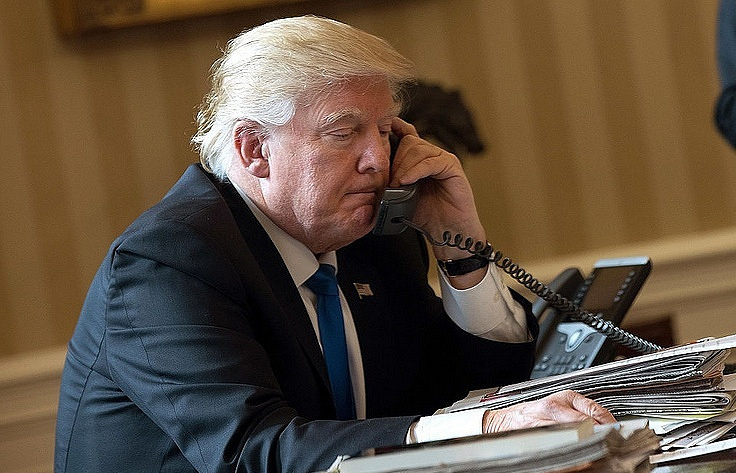 President of the United States Donald Trump has called Russian President Vladimir Putin to extend condolences after a subway blast in St. Petersburg, Kremlin spokesman Dmitry Peskov said Tuesday. "In a telephone conversation with Vladimir Putin Donald Trump extended deep condolences to the families of those who were killed in a barbaric terror attack in St. Petersburg subway, and asked to pass on words of encouragement to the Russian people," Peskov said. "Presidents consider terrorism to be an evil that should be tackled in a concerted effort," he said, adding that Putin and Trump have "agreed to keep in touch." An unidentified device went off at about 14:40 Moscow time on Monday in a subway train car when the train was moving from Tekhnologichesky Institut Station to Sennaya Ploshchad Station. The Russian Investigative Committee has qualified the blast as a terrorist attack, but other versions are looked into. According to the latest data provided by the National Anti-terrorist Committee, the blast claimed 11 lives. Forty-five people were injured.